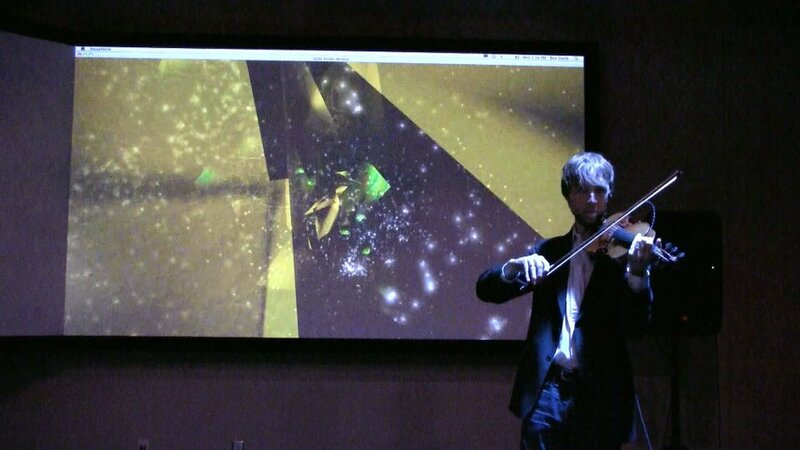 Live performance of an autonomous interactive multi-media performance system begin controlled by the violinist. Two layers of machine learning algorithms (one unsupervised and the other supervised) are learning and training based on the music being played, tailoring the animation and music uniquely. Created at the National Center for Supercomputing Applications, Creative Computing Lab.